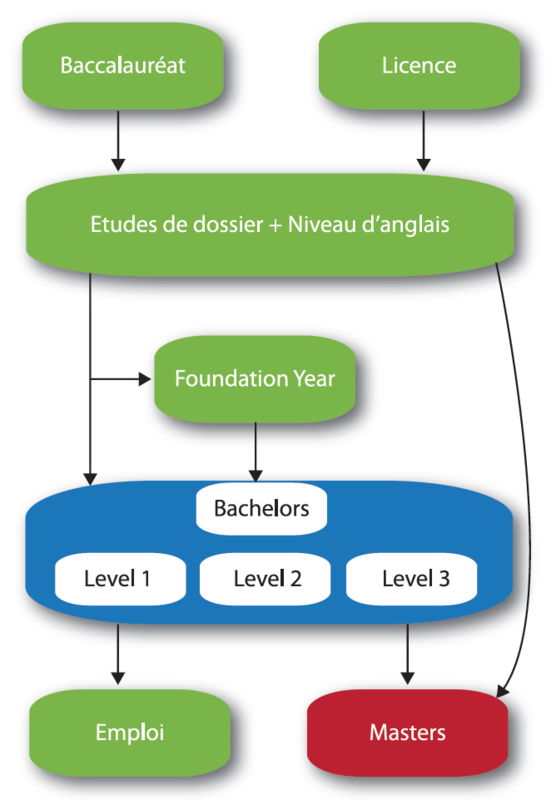 If you wish to enrol at SIST Morocco, please find below our levels of studies framework, with details about the examination of your application file and assessment of your English Level by the admission team. Students that wish to enrol at SIST – associate college of Cardiff Metropolitan University must have either a high school diploma, Baccalaureate or an equivalent of Baccalaureate degree to opt for a bachelor programme. Students who have a Bachelor, Licence or equivalent can opt for our Masters and MBA programmes. Students with a BAC+2 are able to apply to continue their studies at SIST starting level 2 Bachelor as long as their modules are compatible with the SIST and Cardiff Met modules. This is only decided after you submit your modules transcripts to the academic department to be reviewed by the academic director at SIST. In order to enrol for the Bachelor programme, students must have a minimum of English level B2. If you do not have a certificate for your level of English, you can take the Oxford online placement test at SIST campus. The test fee is 200 MAD. Students who don’t speak very good English and students who’d like to get prepared with the foundation for business modules can apply to study Foundation Year before continuing their studies with a Bachelor programme. Apply to continue their studies in the bachelor programme but need to learn English or foundation of business first due to a background of different subject studies. Apply to continue their studies in the MBA programme but need to learn English or foundation of business first due to a background of different subject studies. This programme is also a must for anyone who wishes to continue their studies in the United Kingdom. Students who apply to study in London or in any other city in the UK might be obliged to take a foundation year first, we encourage students to take it here in Morocco with SIST. Foundation year includes business subjects for students who need a business foundation prior to proceeding with studies in business. *International students must pay the first-semester fee prior to an issue of student certification or homologation letter from the ministry. BAC, International Baccalaureate (IB certificate), equivalent high school diploma or A-Levels certificate. For both Moroccans and International students, all the documents must be scanned and submitted under one file to admissions@sist.ac.ma. Originals then should be presented at your nearest campus for Moroccan students or internationals living in Morocco. For International that will only be arriving prior to the semester start, if accepted, your acceptance letter will get a conditional offer only until your original documents are presented at SIST campus. Students with complete applications that meet the requirements will receive an unconditional offer from Cardiff Metropolitan University. (Unless you have an English written degree and transcripts). *All students are required to pay their fees prior to the semester start date. 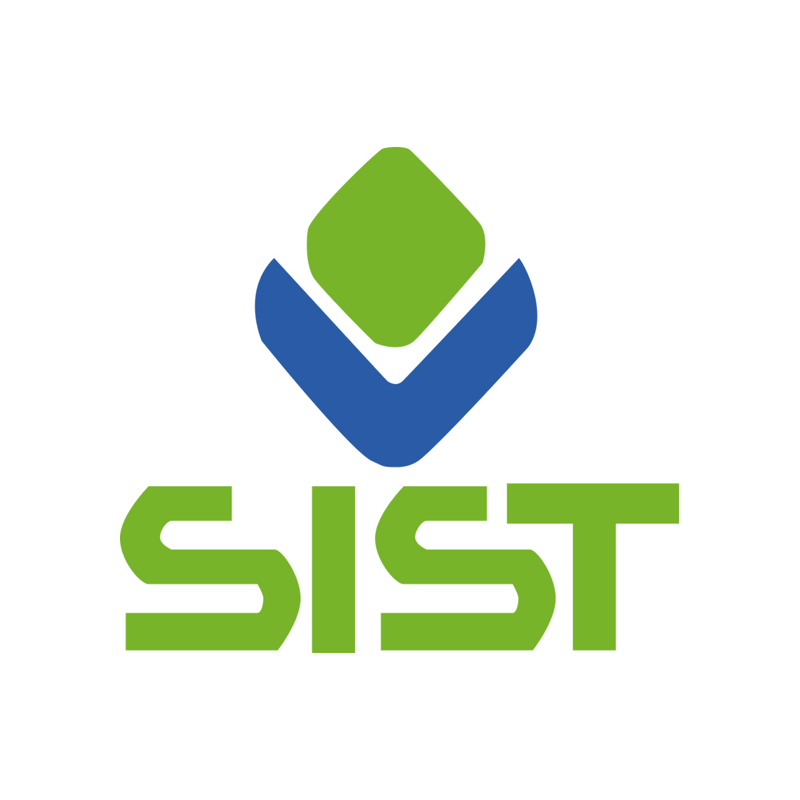 SIST runs on a British system with registration open for the Fall Semester in April and the Spring Semester in December. Summer semester is also available for students who join in the spring semester to continue their second semester. Registration is open for 2019 and students can now register with SIST and Cardiff Metropolitan University for January 2019 and October 2019 semesters. Foundation Year programme registration deadline is January 15th, 2019. Bachelor programmes registration deadline is January 15th, 2019. MBA programme registration deadline is February 15th, 2019. 1st Session: MBA programme registration deadline for October 2019 Intake is July 25th, 2019. Please respect the deadline as no applications will be accepted after those dates. If you missed the deadline, you can apply for the following sessions for Foundation Year, Bachelor and MBA. Foundation Year runs by semester, there are two entry dates every year, October or January. Bachelor Programme runs by semester, there are two entry dates every year, October or January. Note, students have to take the summer semester if they join in January. MBA programme runs by cohort, there are two entry dates every year, October or March. The deadlines for Bachelor and MBA programmes are very strict and cannot be flexible as your application has to be forwarded to Cardiff Metropolitan University International office for inspection before you receive your acceptance offer. Applications can be rejected if the applicant does not meet the entry requirements. Some applications can be accepted under conditional offer on the condition that the candidate supplies any missing document from their file that is required by the university. For you to study with us for the Bachelor or MBA programmes you must receive an Unconditional Offer from Cardiff Metropolitan University. Students can apply from all ages. We believe there is no age limit to education. And all students have equal opportunity to continue their studies. SIST accepts students between the ages of 17 and 29 years old for the Bachelor and Foundation Year. We’ve also welcomed cases of students of 30 years old to 35 years and older. For the MBA programme, our age group differs from 25 years old to 55 years old. We encourage more experienced managers and directors to join the programme as it helps brings a diversity of knowledge and experiences into the classroom. If you wish to enrol at SIST, please find below our levels of studies framework. Timetables change every semester and thus we do not include them here. So you’ll need to enquire about the time table for the semester of the programme you are interested to join. If you wish to enrol at SIST, please find below our levels of studies framework, with details about the examination of your application file and assessment of your English Level. The result of the Oxford Placement test will determine whether you register for Foundation Year or start directly in Level One of the BA. You will need to take an English Proficiency test plus an interview to evaluate your English level. If you have already an English proficiency certificate such as IELTS or TOEFL then the only test required will be an interview. The result of the test will determine whether you register for Foundation Year or access directly to Level one. You will then need to collect and submit all the documents required for your registration. *Students with iGCSEs are not qualified to apply for Bachelor studies and must study Foundation Year first. *Foundation year includes business foundation studies for students, so even fluent and native English speakers can study Foundation Year Programme. High school diploma and transcripts translated to English (Unless the originals are already in English). Transfer Registration fee of 4000 MAD (Your application will not be processed unless this fee is paid when you apply). TWO recommendation Letters from work or Academic figure. Managers and Directors holding senior management roles for several years without a bachelor degree but holds a BAC+2 or equivalent can still apply for the MBA on the condition to prove they hold a senior managerial position at a multinational or other known local company for 5 years or more through work certificate. This in no way guarantees your application. The International Office at Cardiff Metropolitan University will decide based on your application. Applicants with no work experience that don’t hold a Bachelor or Master degree will be rejected. Students from all study backgrounds can apply to the MBA programme. British education encourages students to discover new paths in their learning and growth. We abide by such value and we offer this programme for students from all backgrounds. Engineers, Doctors, Educators and Business Managers can equally apply to this programme. The programme gathers heads from different sectors and industries that are looking for an MBA programme to grow their management strategies in their industry. Students can apply their projects to their companies and industries. Students graduating from American, Canadian or British High schools do not need to take the English proficiency test or the interview. Students from IB school and Cambridge schools can apply straight to level 1. After you apply, SIST will forward your application to our partner university in the UK, who will give you either a conditional or unconditional offer. Any missing document can result in your application receiving a conditional offer only. A conditional offer does not mean a rejected application, it only means that you must submit any missing document highlighted by the admissions office. Failure to submit the missing documents will result in a rejected application. For example, missing a high school diploma/ A levels for a Bachelor programme applicant. Applicants with the Unconditional offer are able to receive their acceptance letter and start the programme of their application without further submissions. The university in the UK has the right to reject an application if the applicant is not eligible for the course, for example, due to a failure of the Oxford Placement test (SIST Admission test). Eligible students that meet entry requirements but fail the Oxford placement test are advised to take the Foundation Year programme to re-apply the following year for the bachelor programme. You will have to sign a payment agreement form according to the financial agreement you make with the university. By now, you are registered in Morocco and in the UK. You will receive your student number from the UK so that you can gain access to the same e-learning tools provided to students in the UK. Then you attend induction week and start your courses. The registration fee is a conditional offer that guarantees your place until you complete payment of your tuition fees. The student is then considered registered with the institute. Students that are applying to Bachelor and MBA programme must pay the registration fee of 4000 Dhs before their application is sent to the International Office of Cardiff Met. Applications provided without the payment of registration fee will not be forwarded to the University in the UK. Tuition fees are to be paid before the start of a semester. Students must be able to provide documentary evidence from a sponsor that these fees will be paid on receipt of an invoice or that they will be able to meet the cost themselves. Get in touch with us today if you need further clarification about the registration process, to arrange the Oxford placement test or to apply to study with us. Our SIST admissions team would be more than happy to assist you.